The closest I could ever get to seeing what others see is through a photograph. And the photograph of my least favorable angle, at that, to have the most accurate depiction. But even then that is only the outward appearance. I was on a video conference call today and I didn’t look good to me. I was so distracting to myself, remembering what was covered in the call is difficult. I spent most of the meeting trying to nonchalantly rearrange my flyaway hairs and readjusting my top. The camera angle caught my double chin in the act and I tried my best to tuck it away. And my arms. Don’t even get me started on my arms. Were people watching me? Did I succeed at covering what I didn’t want to be seen? I don’t know, it didn’t matter though, because I was watching me. And regrettably, I could not reward myself the stamp of approval. In not wanting to be rejected by the people on the other side of the screen, I rejected myself instead. After an emotionally taxing week or so filled with emotional eating and skipped workouts, I began to ask myself, Is it even possible to reach my physical peak? Should I even bother trying to lose weight AGAIN? My hope began to diminish and quite rapidly at that. It did not matter that less than an hour before this conversation with myself took place, my amazing husband told me how beautiful I am. But, my enthusiasm faded and I felt awful. I wondered, “How does God see me? Does he see me the way I see myself when I look into the mirror? Does He see a younger me? Older me? Skinnier me? I decided to ask God what he thought. *Brief note: I talk to God out loud often, like I would my husband or best friend. Call it weird, but I do. You should try it! He covers you with his love and sees only the you that you really are through the eyes of love. 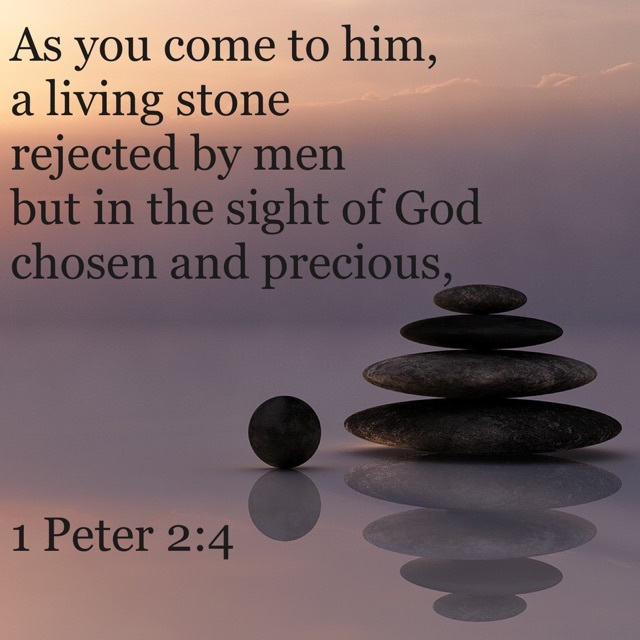 He has chosen you and longs for you to come to him. He sees the you that you get to be in heaven, without any pain anywhere, having no burden, no tears, no sorrow. And that’s who’s opinion matters. He knows who I am and he has seen my future in him. You see, his answer to me is the same for you. You are loved more than you know, by a God you may not know. Seek him, talk and listen to him and accept his gift today. Our challenge then is remember this and remind ourselves and others of God’s view of us every time we feel unpretty. Take a moment this week to see yourself and another through this view and give a sincere compliment to someone nearby. Post, in the comment section below, a compliment you shared with another! This was perfectly timed for me to read…at this moment!! We all need to reflect on how HE sees us and I struggle immensely in this area. Thank you for being so real and sharing your heart.